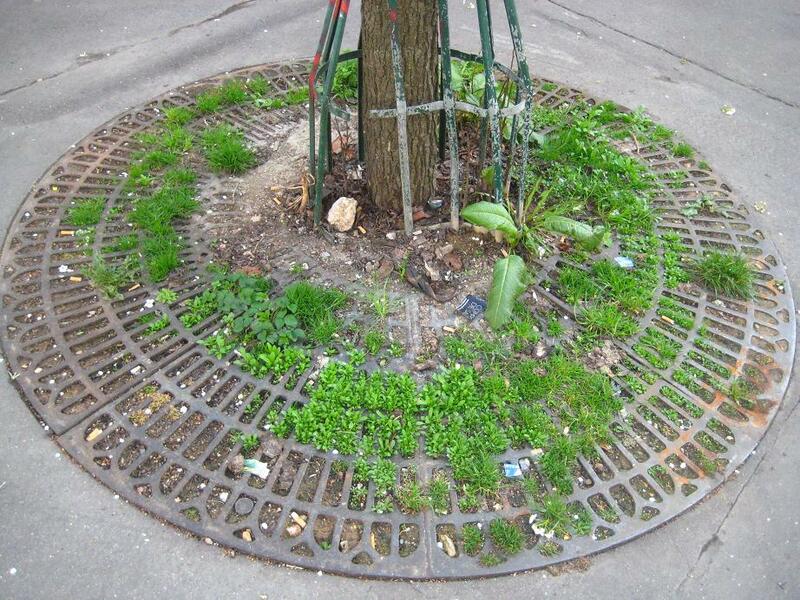 Two new initiatives have been launched in Paris that are encouraging locals to think about the role of wild plants in the city. But are they asking the right questions? From Tuesday May 3rd, individuals or groups can get involved in a project called 'Sauvages de ma rue' and undertake snapshot surveys of their local environment. Run by the city's natural history museum, the survey involves choosing a street or section of pavement then listing all of the species you find on a downloadable form. 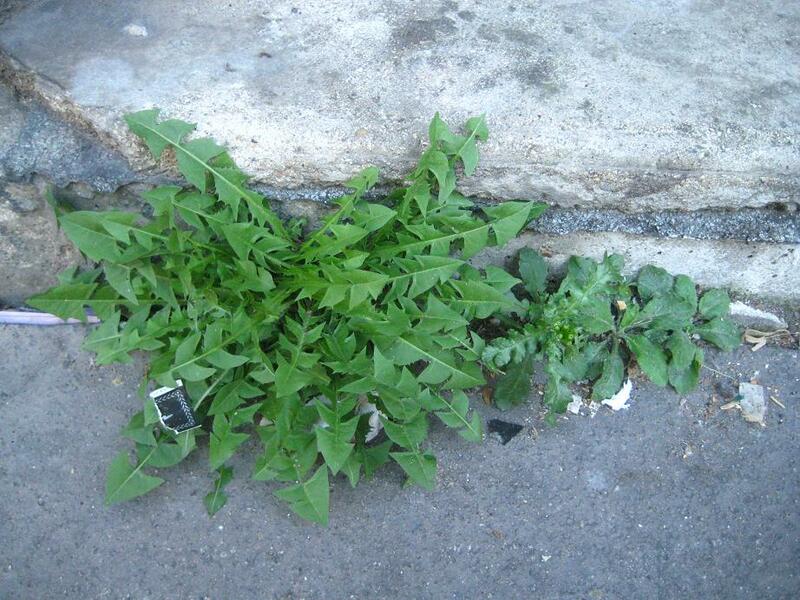 You are also asked to note exactly where these plants have been found - at the foot of a tree, in a crack in the pavement, growing from a wall - in the hope that this will lead to a valuable resource that will help city planners to encourage the growth of wild plants in future projects. The second initiative encourages people not to be simple observers but also actors in the process. 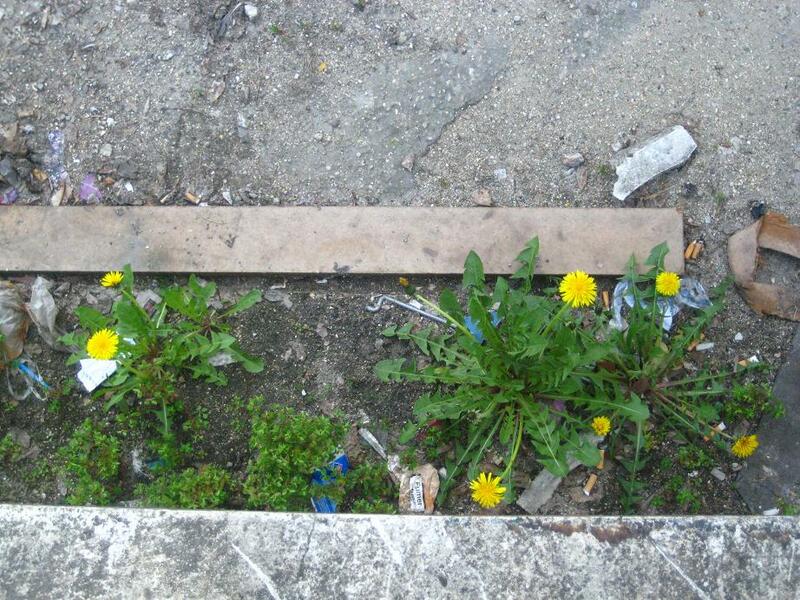 Laissons Pousser offers free sachets of seeds of 18 different wild plants including clover, daisies, poppies and wild carrots that people can sow in a selection of pre-defined areas - at the base of trees, in jardins partagés (urban allotments), in courtyards and on balconies. In Paris, these sachets can be found at the Maison du Jardinage in the Parc de Bercy. However, neither project guarantees that these plants or their environments will be protected, nor that the city wilderness is always necesarilly a good thing. 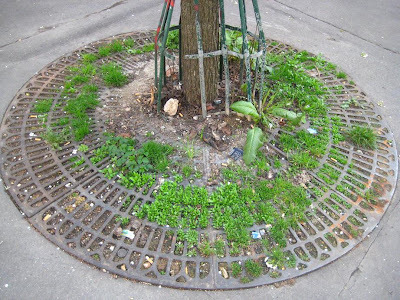 The seeds may not grow into plants, and who can say that the Sauvages de ma rue project will not lead to the eradication of certain unwanted species if they are found to be too numberous in certain zones? The Sauvages de ma rue project organisers though do point out one crucial fact - "Les villes ont été bâties sur des terres autrefois occupées par des espaces naturels ou cultivés" (cities are built on land that was previously occupied by natural or cultivated spaces). The question of what has been allowed to happen in this zones is of great importance to protectors of the urban wilderness as Wilfried Hou Je Bek points out on his Cryptoforestry blog. "The city was invented by farmers and the peasant never left it" he states in his forage psychogeography manifesto. For Wilfried Hou Je Bek, this is not a good thing - "There is a peasant inside each of us and he doesn’t need to be liberated, he needs to be crucified." In other words, most cities cannot harbour any patches of wilderness because of our inherent desire to be farmers. Our carefully tended gardens and parks are the remnents of an agricultural past, where control over our surroundings and what we managed to produce there was essential. The Sauvages de ma rue project simply asks us to observe the city as it exists today, and the Laissons pousser scheme encourages the introduction of a limited number of plants in carefully defined zones. Neither ask what makes truly wild nature, nor how it could transform the city. Wilfried Hou Je Bek would like us to become urban foragers, and to get to know the natural rythms of the environment. Whilst farmers try to predict and plan what will grow in the future, foragers just take advantage of what is plentiful in the present. Is it possible today though to forage in the city? It may be possible to imagine collecting a glut of blackberries from an aggressive and spiky bush that has taken over a disused factory, but would they be safe to eat? The most recent histories of the lands of our cities have seen the reign of neither farmers nor foragers, but polluters, contaminating the soils underfoot. Perhaps the solution would be simply to start again. Set aside zones in the city that would be completely decontaminated then left to the whims of nature. I think we'd all be surprised by the results, and that must be a good thing. I think there is a patch or two, in the Jardin des Plantes, which have been let to grow wild as a kind of experiment (towards the entrance to the menagerie)... but I have not walked past them in a year or two (looking forward to walking past them in a week or two :-) ). You have also the small wild parks, Jardin Naturel, just behind Père Lachaise, and the St.Vincent at Montmartre ... and you find in many bigger parks some surface left wild; I like that! What concerns me more is the rubbish people are planting everywhere! Just look at the photos posted. 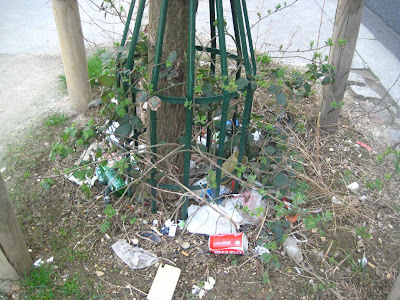 Let’s first get a “clean” environment and then work on beautifying it. Thanks for the links as well as another interesting read. I delight in the simplicity of finding plants in the city whether they be wild or cultivated plants. This indicates the peasant forager and also the controlled, formal, horticultural garden designer as well as the farmer in me. All kinds of plantings, intended or accidental, are welcome to ensure variety in our environment.